There is an ancient Chinese proverb: “Give a man a fish and you feed him for a day. Teach a man to catch fish and you feed him for a lifetime.” Training the trainer is like teaching a man to fish. Train one trainer and they have the ability to impart their knowledge on many within their target groups or organization. 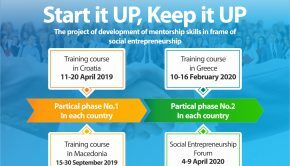 CEFE Macedonia, together with its partners of the project “Experiential Pedagogy of the Oppressed” are organizing an International Long-Term Training for Trainers Program in the frame of an Erasmus+ KA2 Strategic Partnership Project funded by Turkish National Agency. The program aims to deliver an advanced level training program on experiential learning to adult educators working with refugees. 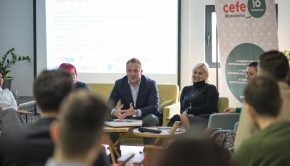 The training is organized under the frame of Erasmus+ Program. Board & Lodging Costs, Visa Costs and Travel Costs will be covered by the project. Resident in one of the following countries; Bulgaria, Greece, Macedonia, Italy and Turkey. Has at least 3 years of experience in adult education as trainer/facilitator. Has at least 1 year of experience in working with refugees. Available to join all the phases of the program. Motivated to learn and improve own educator competences. Please download the Call for Participants Document and read carefully. Please download the Application Form Word Document and fill it. Please fill the online form on the right of this page and upload your CV and the Application Form Word Document to the online form and submit your application.